Every parent wants to see his or her kid grow up and find success. But unfortunately, it doesn’t always happen that way. Let’s face it – kids are expensive. While you want to provide for them and ensure that they have a comfortable life (while saving for college expenses on top of that), that’s easier said than done. You also don’t want them growing up thinking they can completely rely on you for money forever – it’s a delicate balance. In this article, we’re going to talk about steps you can take to ensure your kids are taken care of after you’re gone, as well as ways you can teach them to be financially successful on their own. When people think about saving, typically life insurance isn’t the first thing that comes to mind. However, it could be incredibly helpful – hear us out! There are two main types of life insurance – term and permanent. Term life insurance is a temporary form life insurance that lasts a certain number of years (the term). Typical terms include 10, 15, 20, 25, or 30 years. Term life is generally cheaper than permanent life insurance because most people outlive their policy. On the other hand, we have permanent policies. There are multiple types of permanent life insurance, but the one we typically recommend is Guaranteed Universal life insurance, or GUL. Guaranteed universal life insurance is somewhat of a mix between term life and whole life (another permanent life insurance option). Instead of being in force for a certain number of years like term life, GUL policies give you the option of choosing until a certain age – such as 90, 95, 100, 110, or even 121. With the average lifespan of an American being 79-years-old, you’re essentially guaranteed permanent coverage (like whole life). If you want to be on the safer side, we suggest going with a policy that ends after 100. When you purchase a permanent life insurance policy like GUL, it comes with a death benefit. After you pass away, your beneficiaries will (generally) receive this death benefit tax-free. Oftentimes, this money is used for medical bills or funeral and burial expenses. Leaving this to your children can offer you both peace of mind that they will be taken care of after you’re gone. 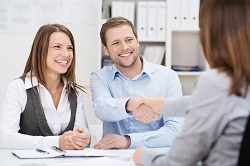 If you’d like to read more about guaranteed universal life insurance, check out this article. While we were originally taught that talking about money is taboo, it is now known that it is actually important to talk to your kids about money, so they can be as prepared as possible when the time comes for them to manage money. This doesn’t mean that you have to sit them down and have an hour long conversation about everything money-related, but rather just mentioning it in everyday conversations is enough. For example, explain where the money comes from that allows you to fill up your gas tank. Teaching them how to budget with weekly challenges is another way for them to learn while incorporating a little fun into it. Here’s an article that talks about 7 different money apps for kids. A great way to teach your kids what it means to earn money is through a pocket money system, or giving them an allowance/commission. Say you have a list of chores they need to complete for the week. Once they successfully finish the list, you give them x amount of money. If they want to buy something but don’t have enough money, they then have to wait until the following week or until they earn enough to do so. Doing this shows your kids that they can’t always expect to just ask you for money whenever they want something – they have to work for it. Over time, hopefully this will also allow them to spend their earnings wisely, rather than blowing it all at once. With almost everything available instantaneously these days, delayed gratification is becoming much more rare. If you buy something for your children every time they ask, they won’t understand what it’s like to have to wait for something they want (which will pose as a big issue when they’re grown up). Kids should know that just because you’re going into a store, doesn’t automatically mean you’re going to buy something for them. This ties into our previous point; if they want something, they’re going to have to wait and save up for it to obtain it. Once you’ve clearly demonstrated how to save for short-term goals such as buying a toy, you can move on to explain how to save money for long-term goals. This is a good time to explain compound interest as well, when you can earn interest both on your current savings and past interest from your savings. It is always best to use specific examples when explaining this to your kids, as it creates the likelihood for them to fully understand. For example, say you initially start with $50, and you set aside $100 every year from ages 15 to 65. By the time you reach 65-years-old, you will have $21,500 (with an interest rate of 5% compounded annually). If you had started at age 30, however, you’d only earn $9,300. Here’s a calculator that you can show your kids when explaining this concept. Having your children set and save for a long-term goal (like a really nice guitar or laptop) is another good way to teach them about delayed gratification and opportunity costs (aka trade-offs). Instead of your child spending money on eating out all the time or buying clothes so he/she can save for this long-term goal, it implements critical thinking about what is worth saving for. Credit cards are the bane of many people’s existence, but it doesn’t have to be that way for your kids. So many people were not taught the proper way to use credit cards, which is why they’ve accumulated so much debt over the years. Credit cards can be a good thing, and are in fact necessary if you want to rent an apartment or buy a car. Giving your kids a credit card (at an appropriate age, of course) and teaching them only to spend as much as they can pay off in full each month is a great way for them to build their credit while teaching responsible spending habits. 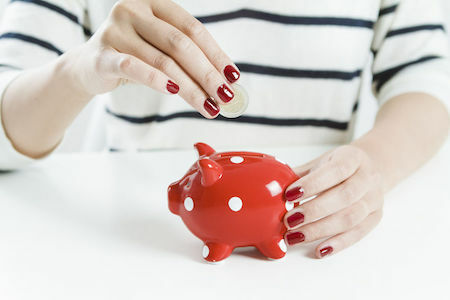 Money can be a difficult thing to talk about, but implementing these tips may help save your kids from thousands of dollars in debt later on. With the combination of good money knowledge and a life insurance policy in place to protect them when you’re gone, you can rest easy knowing that your kids will be okay on their own. Term Life Advice is a nationally-licensed, independent life insurance agency. Our agency is owner-operated, and we work with over 63 top-rated life insurance companies to make sure we always match our clients with the most affordable life insurance options available. At Term Life Advice, we only work with”A” rated life insurance companies, and our goal is to provide our potential clients with the best customer service in the industry. Most importantly, our services are free, and there is no cost to apply for coverage. In addition to the free expert information that we provide online, we also offer complementary quotes for term and permanent life insurance policies without requiring any contact information. Helping our clients protect their families at rates that they can afford is our passion.